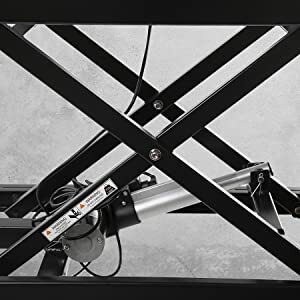 Home Products TranzForm - Electric Standing Desk 47"
TranzForm - Electric Standing Desk 47"
TranzForm Electric Standing Desk 47"
Get ready to “tranzform” your space with our brand new TranzForm Electric Stand Up Desk! Instantly switch between sitting and standing with just the push of a button. Watch as your new stand desk does all of the heavy lifting for you while raising quickly and quietly! EASY & QUIET ELECTRIC ADJUSTMENT: With the push of a button, pick the height setting that works best for you! 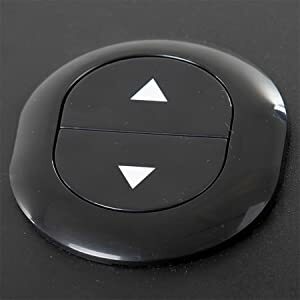 A super simple up and down button allows you to raise or lower your desk quickly and quietly. 10 MINUTE ASSEMBLY: Have your desk up and running (or standing!) in just 10 minutes or less. Remove the box, attach the legs and start standing! You’ll be so productive, you won’t even need that mid-morning coffee. TALLER HEIGHT ADJUSTMENTS: Adjust your new standing desk height from 31 to 49 inches to find the most comfortable position for sitting or standing! It’s great for anyone in the office! 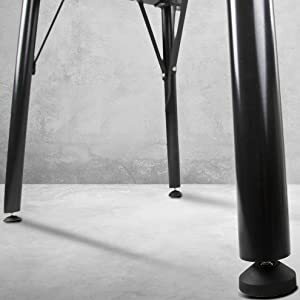 BOLD & UNIQUE STYLE: The TranzForm features a matte black top and sleek black legs that work with any office style while its cool, robotic look is sure to stand out! INSPIRED BY AWARD WINNING X-ELITE: This desk is inspired by the Stand Steady’s award-winning X-Elite Pro (just with a few more bells and whistles)! The scissor-lift mechanism provides a stable, shake-free desktop no matter what height and can hold up to 75 pounds! 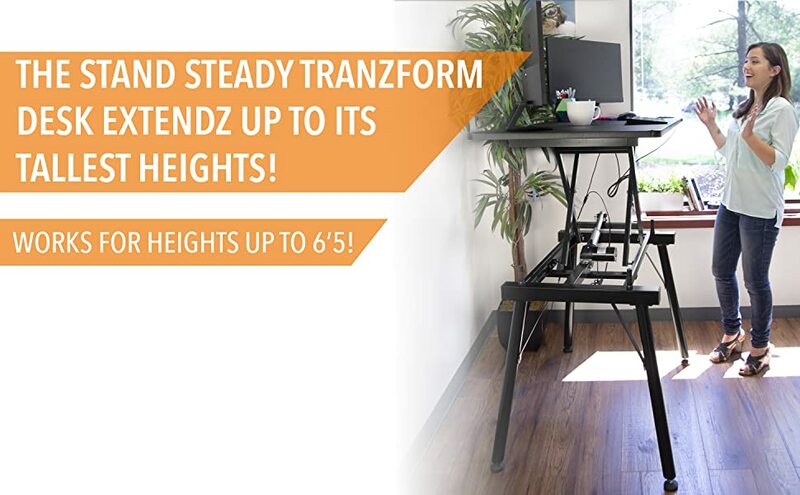 TranzForm your workspace with Stand Steady's full-size height adjustable standing desk! The easy operation of your simple up-down button now gives you the luxury of transitioning from sitting to standing effortlessly! Now you can finally enjoy the benefits of moving more throughout your day! 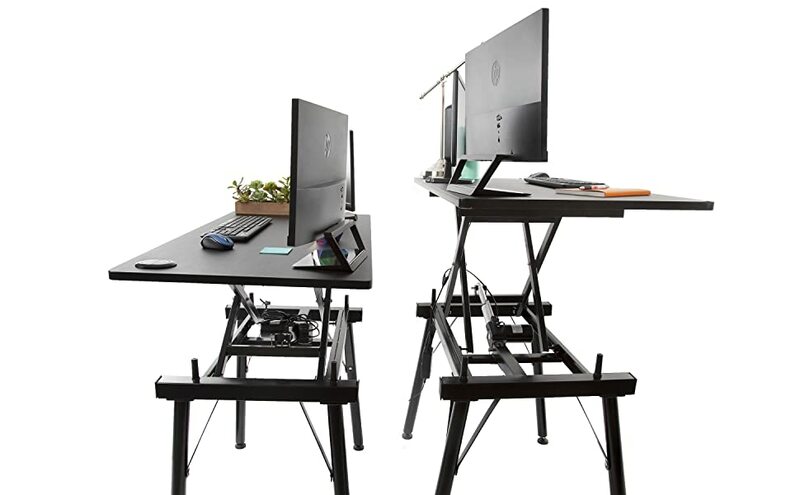 Elevate your workstation with a smooth transition from sitting to standing every time! Achieve your ideal height with your Stand Steady TranzForm Desk's quick and powerful electric lift system. Need a change of scenery? 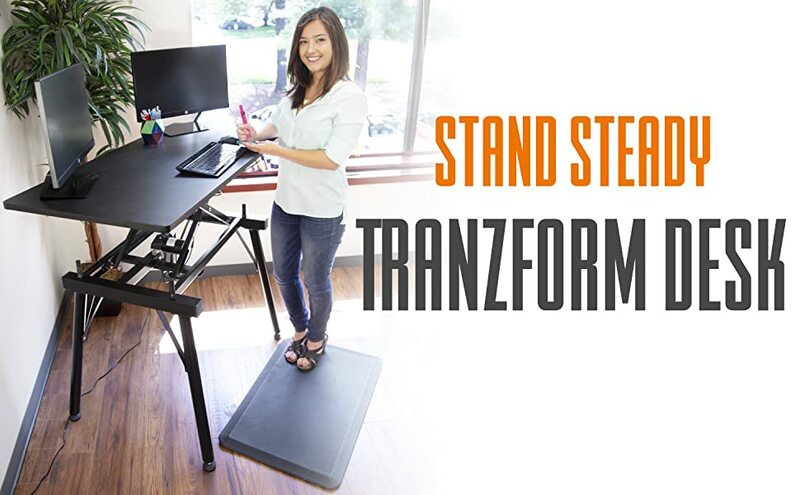 Move your new Stand Steady TranzForm Desk onto any floor and its four adjustable leveling feet ensures a level work surface every time!